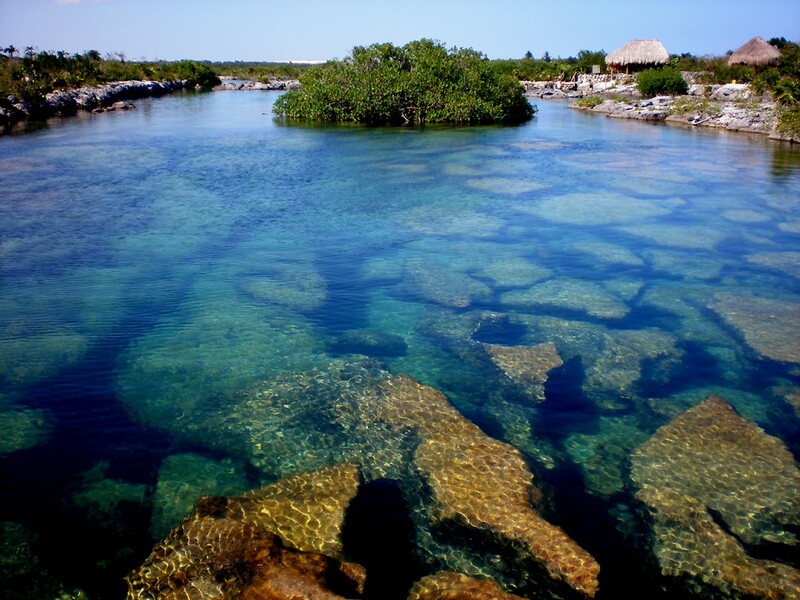 La Caleta YALKU is located in Akumal, a few kilometers from the public beach where the turtles come to eat. 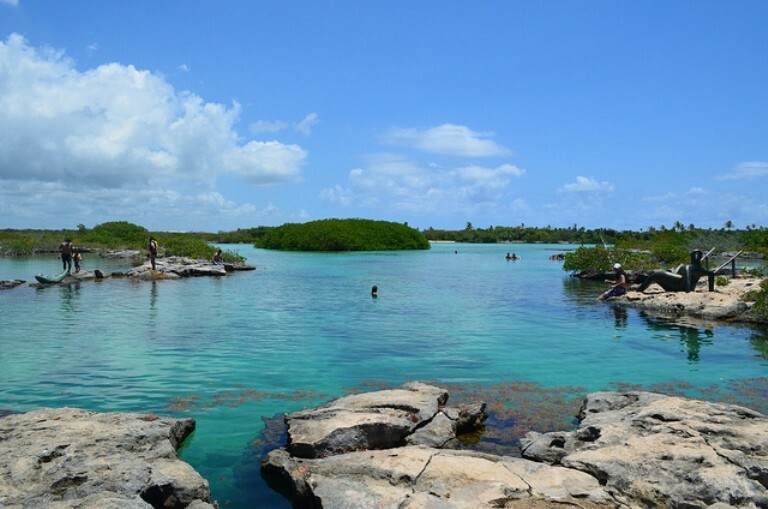 La Caleta, or the YALKU lagoon as the place is also called is an arm of the sea where a large underground freshwater river flows out to throw itself into the sea. The fresh water mixes with salt water There is little depth, about 2.5m deep, and it forms a kind of natural aquarium of tropical fish. 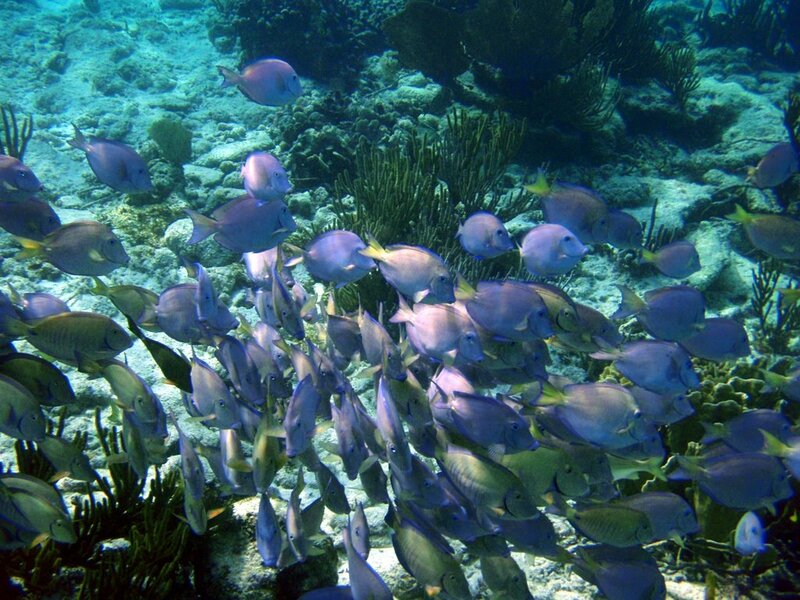 The place itself is very beautiful, but it is even more beautiful under the water, in snorkeling or snorkeling, where you can cross many species, it even happen that small turtles do not pass, But this is rare. 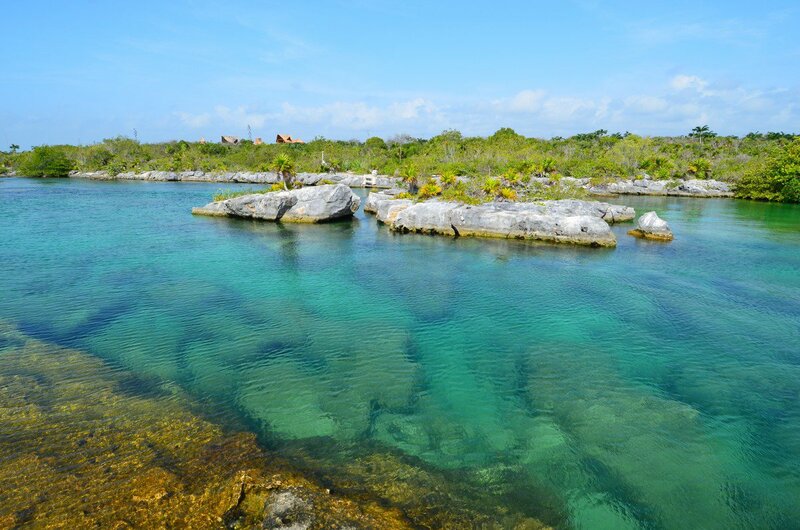 Access to the lagoon is subject to charges, 14USD without the equipment, but by way of Paseo Tours, during the Tulum Tierra Maya or Total Snorkeling day, we will take you there with all the equipment to make the most of the place. To discover YALKU count 2h maximum if you are really fanatic of the snorkeling, but in 1h you should have seen all there is to see. Do not forget to put sunscreen before entering the water, whether organic or not, as it damages the flora and fauna; Yalku is very touristy, there are so many people in the morning, so it is important to respect the basic rules to protect our environment. 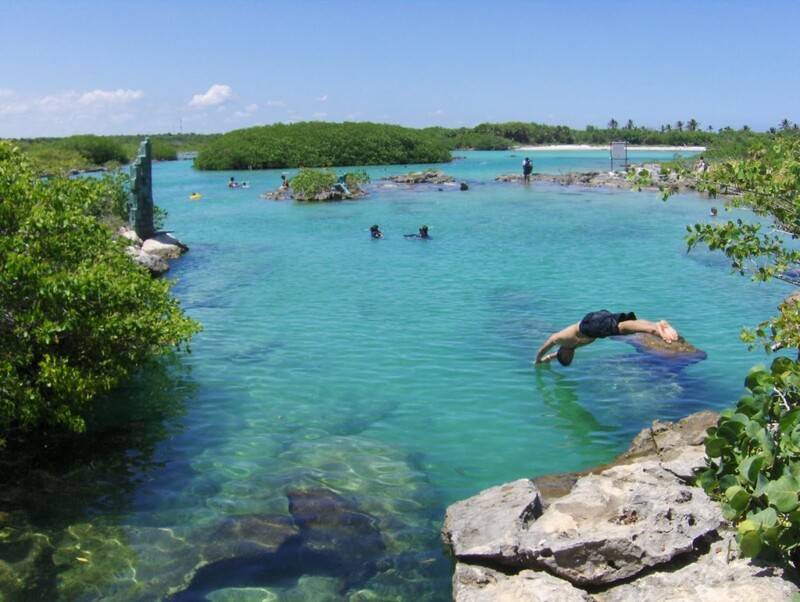 La Caleta is 35 minutes from Playa del Carmen, and open every day of the year. Contact us via the excursion part of our website if you would like us to take you to visit this magnificent place.